Could 5G Break Facebook And Google's Grip On Online Content, Cut ALL Cords? Insights: Could 5G Break Facebook And Google’s Grip On Online Content, Cut ALL Cords? Last week was a big one for a technology that too few in Hollywood and the creative community are following. But it brings equally big implications for where publishers and creators might turn as YouTube demonetization and Facebook algorithm changes begin to whack their audiences and bottom lines. The technology involved is the next generation of mobile, called 5G. It promises to transform the very big but not very dynamic mobile industry into a viable competitor to traditional cable and satellite Pay-TV providers. It’s possible as well that 5G will allow the big mobile operators the chance to create vertically integrated content networks that don’t rely on Facebook and Google to make what has been way too few bucks in online media. 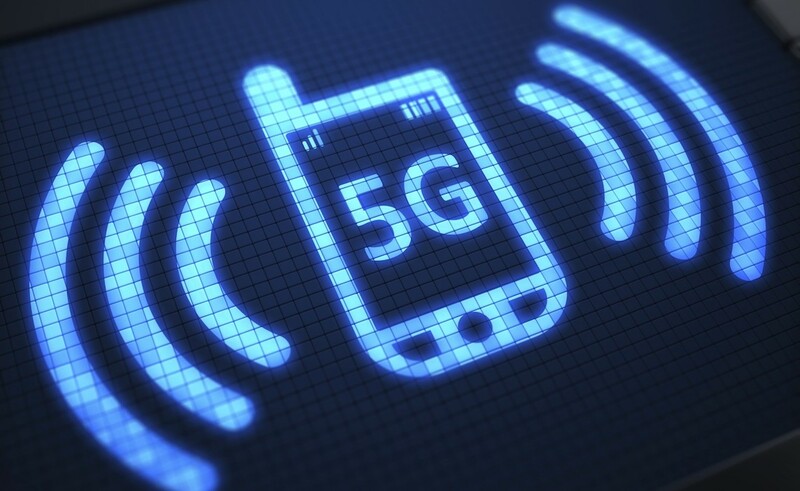 Along the way, 5G’s far faster connection speeds (5 Gigabits per second! ), low latency and higher bandwidth promise to supercharge shared online experiences, virtual and augmented reality, mobile gaming, combinations of all three and so much else, while cutting the need for wires to most devices. If cord-cutters have been the bane of cable providers the past few years, they ain’t seen nothin’ yet; 5G promises to cut all cords, while providing a highly competitive alternative to broadband delivered through a coaxial cable buried, expensively, in the ground. Thank goodness. Qualcomm this past week held a big shindig in San Diego, announcing partnerships with 18 mobile carriers – including Verizon, AT&T, Sprint, and T-Mobile parent Deutsche Telekom – and 19 device makers. They all plan to use Qualcomm’s Snapdragon chips in 5G devices that will arrive about a year from now, in the first quarter of 2019. Those devices, according to Qualcomm, will include “5G phones, always-connected PCs, wireless VR headsets, wireless modems, tablets, IOT (Internet of Things)” gadgets and more. That’s pretty much every communications and entertainment device you and I might use in the next few years. And Qualcomm isn’t the only player in this space. I’m looking forward to seeing what Apple does with these technologies with its own custom chips and next-gen iPhones in the next year or two. And don’t sleep on Amazon, Samsung, and Google, which are building their own chips, mobile and in-home devices. That’s all cool, but why does Hollywood, or content creators and publishers beyond Hollywood, care? A top executive of one digital-media powerhouse, now part of a much larger traditional-media company, told me off the record that he believes the reason AT&T and Verizon are busy acquiring content companies is in preparation for 5G’s new possibilities. Verizon’s acquisition of Yahoo, now folded into the much bigger content agglomeration called Oath that includes AOL and HuffPost, was one such step toward the 5G future. And AT&T trying to spend $85 billion on Time Warner, depending on a U.S. Department of Justice lawsuit is another. Having the output of Hollywood’s second-largest studio to serve content to something like 120 million subscribers on its many distribution platforms (DirecTV, DirecTV Now, U-Verse, a 5G-enabled mobile network), without paying an access toll to Facebook and Google, just might be a Really Big Thing. This all comes at an interesting time. I’m hearing a lot of speculation about Facebook’s plans for its Watch section. One exec this week told me we should expect to see the Watch function calved off as a separate app, a la Messenger, by the end of 2018. That makes sense to me, and probably, to Mark Zuckerberg, especially as Watch matures into a more substantial video platform. The announcement this week that Watch is creating a 10-episode series with Elizabeth Olsen suggests a growing ambition at Facebook to make something beyond reality shows featuring Lithuanian minor-league basketball players with a loudmouth dad. I guess that’s a win for our collective intellect. Regardless, Facebook’s algorithm shift is pushing professional content creators onto Watch and out of the News Feed. Facebook execs are reportedly pondering turning Watch into something like YouTube. That means it would be open to all comers, instead of a select group of creators, with shared ad revenue (for the first time ever at Facebook), and potentially a tiered structure for distribution of those ad revenues. YouTube CEO Susan Wojcicki may have tartly suggested that Facebook should “stick to baby pictures,” but there’s no way that’s going to happen. One recent study found that only 5% of publishers’ revenue comes from Google and Facebook. It’s a somewhat misleading stat, because it doesn’t outline how much traffic comes from the Duopolists, nor how much revenue the two online giants extract from all those uncompensated views of publisher content. But if there’s a way publishers can expand their options, especially with huge and well-funded competitors, it’s probably a healthy thing for their not-very-healthy bottom lines. Rupert Murdoch, among many, again recently opined that Facebook and Google should pony up the online equivalent of Pay-TV carriage fees in exchange for enriching themselves on publishers content. Don’t hold your breath, Rupe, but he’s making a reasonable case. If 5G fulfills its promise, there’s the hope that finally, the Facebook/Google Duopoly might actually face real challengers, with their own very deep pockets. And if publishers have somewhere to go that isn’t just Facebook and Google, perhaps that will force those companies to pay up for the right to get rich off that content. It’s not fun being a publisher or creator at the mercy of more or less munificent monsters, but in an era of Network Effects giants, perhaps a Tetropoly, instead of a Duopoly, is the best we can hope for.